Welcome to our wedding website! We are so happy to have you join us for our wedding celebration. Thank you so much for being part of our special day! Krupa and Emmanuel met as undergrads at The College of New Jersey where they both studied science before applying to medical school. They became friends while they were EMTs on the same first aid squad. Emmanuel offered Krupa some apple pie during Halloween in 2010, and things only got better after that. Later that year, he gifted her a mango and some chocolate and asked her to be his girlfriend. She initially said no, but ate the mango and the chocolate anyway. The mango was delicious, and the chocolate was her favorite, so she reconsidered and they have been together ever since. 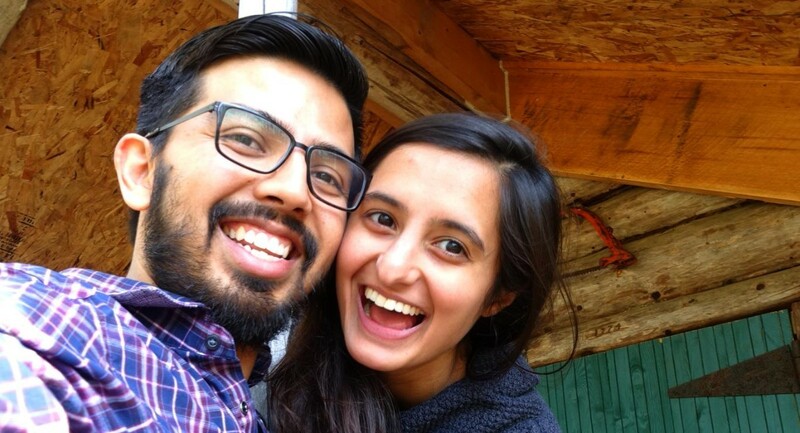 Due to equal parts luck and fate, both Krupa and Emmanuel attended medical school at Rutgers Robert Wood Johnson, where they continued exploring their interests in science, medicine, and social issues. Somewhere between anatomy lab, poring over heavy textbooks, and learning how to put on a stethoscope the right way, the pair caught the travel bug. They seek the cure to this affliction by visiting and exploring new places. They particularly enjoy hiking and nature while making friends along the way. Emmanuel proposed during a weekend hiking trip to Vermont in early May of 2017. There was mud (a lot), snow (a little), and pie (the right amount).